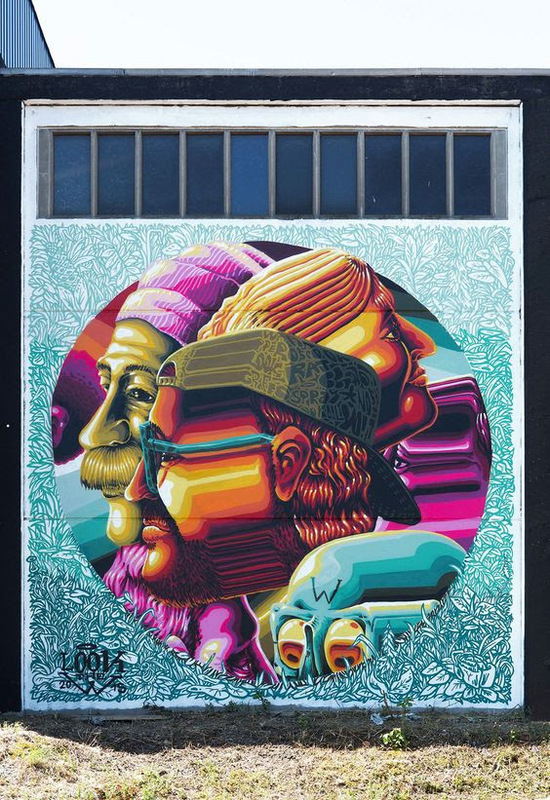 Internationally renowned LOOK The Weird is a 10 person graffiti crew from all over Austria and Germany. LOOK The Weird was founded in 2011 by German contemporary artist, Lars Wunderlich. He began drawing early in his childhood. Lars became obsessed with all things graffiti in 1996, which is still his favorite technique. Now, his work can be found worldwide. LOOK The Weird focuses on using unique recognizable styling with high quality character design, however, each artist in the collective is a serious heavyweight styler. Working as artists, illustrators, lecturers, and graphic designers, LOOK The Weird prefers radical illustrative design. Whether the commission is private or not, they stay true to their roots. From the start, each crew member’s style blended perfectly in group productions. That level of collaboration is difficult to find in the art world, especially with such a large group. Every member of LOOK The Weird has appeared in national and international art fairs and exhibitions. Members have also appeared in live paintings and art jams during their many years together. These Weirdos have created magic as an art collective. Welcome to St. Pete!